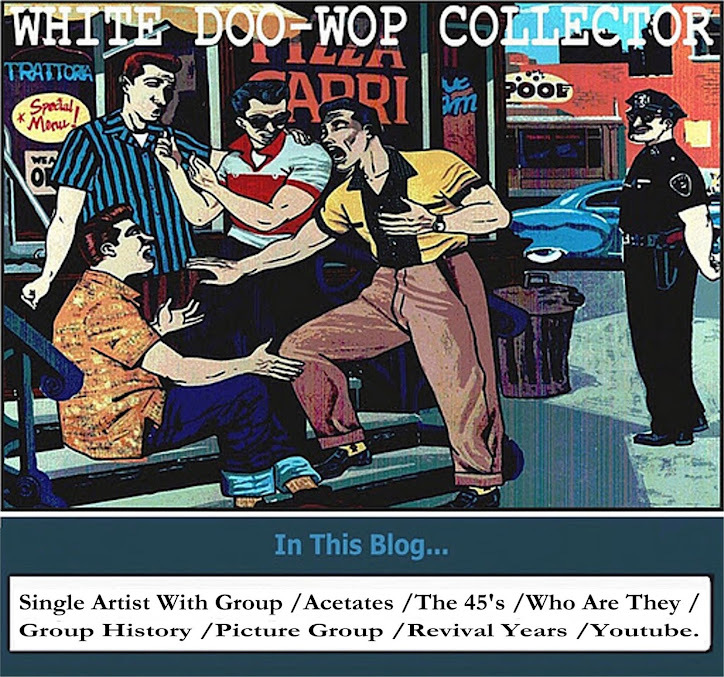 WHITE DOO-WOP COLLECTOR: Rare White Doo-Wop Picture Sleeve. Rare White Doo-Wop Picture Sleeve. 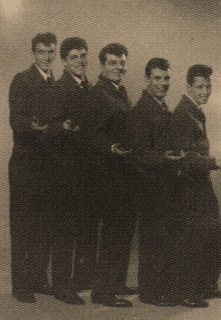 Edward Jehamy,Fred Trabulsi,Theodore Barber,James Ramsey and Joseph Cavanna from New York City. 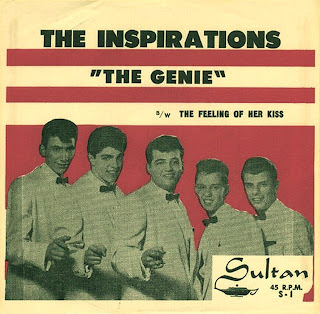 -The Genie/Feeling Of Her Kiss.Sultan Records-1959. -Angel In Diguuise /Stool Pigeon .Al Brite Records.1960. Listen THE INSPIRATIONS_The Genie from 1959. This is a personal favorite of mine and my family! Such a great group of men and a great song. My father would have loved to have seen this I am sure. Thanks for posting this album cover and song.